Like it was a long time since our last entry in our Best Boss Battles in Gaming History series of articles, it's been a long wait for a new retro review. Thankfully, we haven't made you wait over year, but it has been a good while. That said, retro reviews are back with a vengeance with what many call one of the best video games of all time. 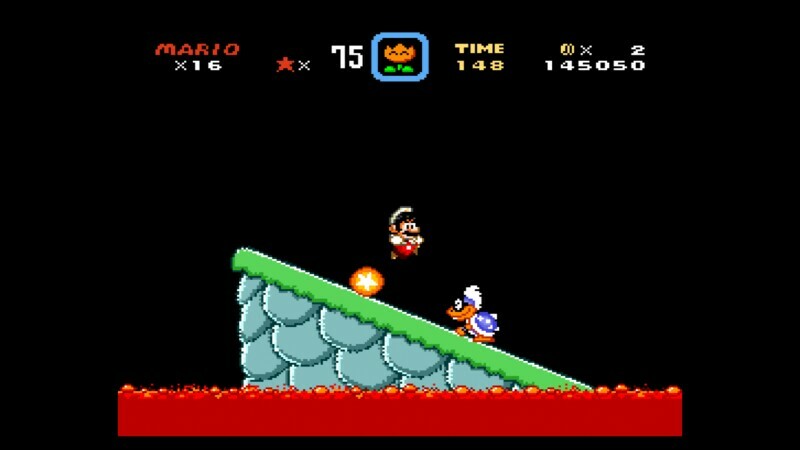 It's Super Mario World, and to us it was the premier Virtual Console game in Nintendo's decidedly anemic Wii U VC service launch lineup. Let's see how good this "best video game of all time" nominee is. In This World, Super is an Understatement. Mario is one of the most well known characters in any medium. It was once reported that more children knew of the portly plumber than Disney's own Mickey Mouse. There's good reason for that as there has been no shortage of Mario games over the year. However, that's okay as most of them are quite wonderful experiences. Back at the release of Nintendo's second home console, the Super Nintendo (aka the SNES, aka the Super Famicom) a little game called Super Mario World launched as a pack-in title with the system. Since then, the game has had a place on a multitude of "Best Game Ever" lists, including right here on SuperPhillip Central. 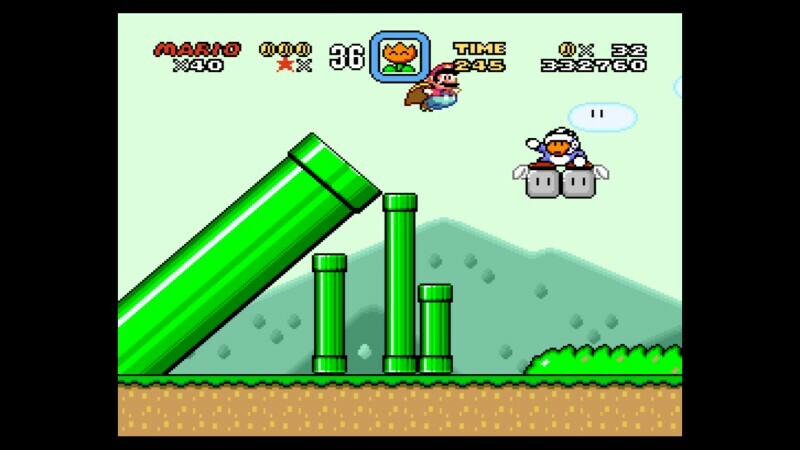 What makes Super Mario World such a stroke of near-perfection? Let's find out with this review. Mario and Luigi arrive at Dinosaur Land with a message that once again Princess Peach Toadstool has been kidnapped by the sinister Bowser, King of the Koopas. 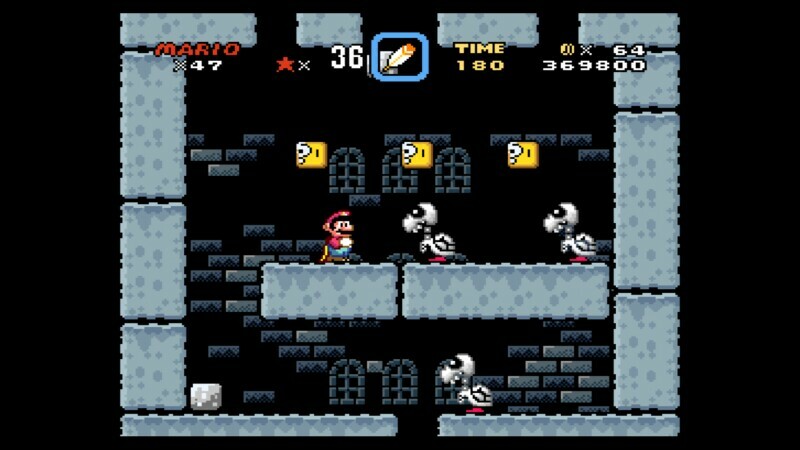 (She better have gotten used to that because she would be kidnapped many many times after Super Mario World.) It's up to the Super Mario brothers to across the worlds of Dinosaur Land, such as the Donut Plains, Vanilla Dome, and Forest of Illusion, to take out each of Bowser's Koopaling offspring and finally make it to Bowser's castle to teach King Koopa a lesson in civility. this enemy's head but so did Mario himself. 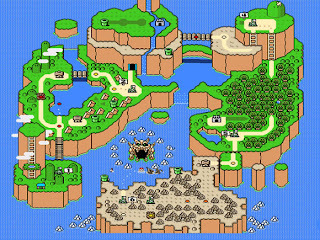 Like Super Mario Bros. 3 before it, Super Mario World contains its own maps laying out each level. 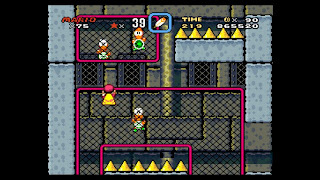 However, there are key differences between how Super Mario Bros. 3's maps operated and how Super Mario World operates. 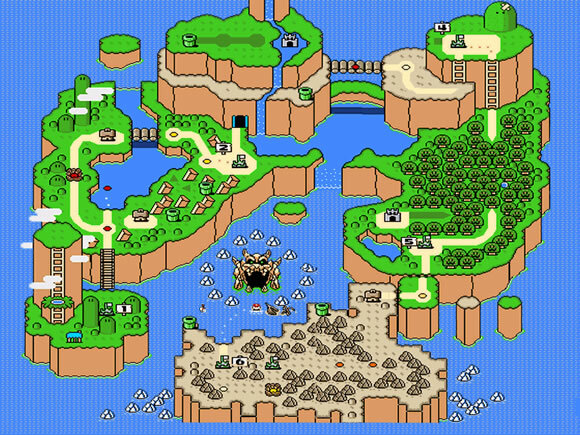 One difference is that while Super Mario Bros. 3 was a series of eight disconnected worlds, all of the worlds in Super Mario World are a part of the same map. 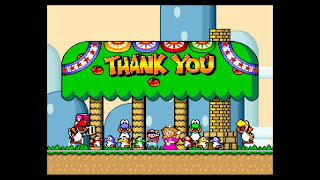 Not only that, but in Super Mario World you can return to completed levels. It's a necessity if you want to find all of the exits within the game. 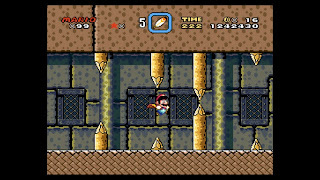 Yes, unlike Super Mario Bros. 3, World possesses multiple exits per specially marked levels. There's a normal exit and a secret exit that usually acts as a shortcut to skip whole levels or even worlds. 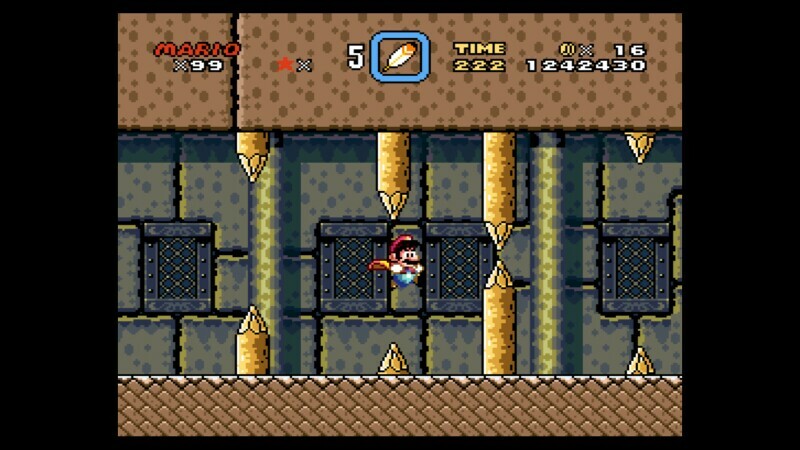 (The secret exits generally have Mario or Luigi delivering a key to a keyhole to unlock a new path.) 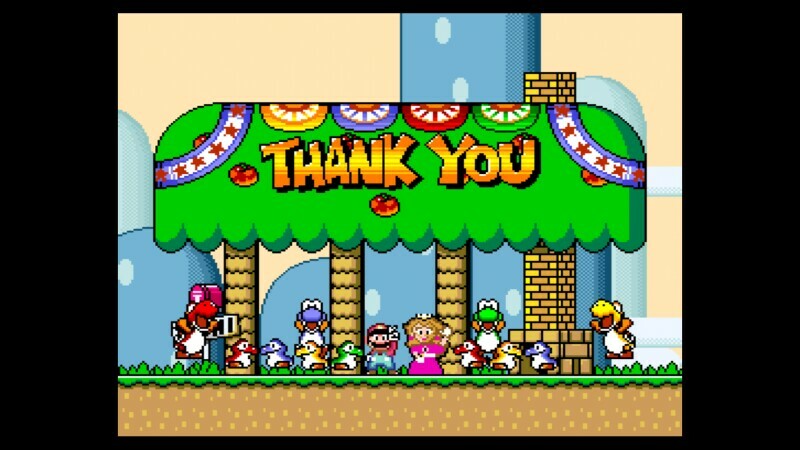 In total there are 96 unique exits in Super Mario World, adding a ton of replay value to an already worthwhile game. As for the actual levels, Super Mario World is the benchmark of excellence in level design. Each level offers something new and fresh into the mix. There are outdoor levels, indoor levels, ghost houses full of Boos and other paranormal creatures, and castles that conclude every world, housing a final battle with one of Bowser's seven Koopaling children. There are levels where you must climb on gates, punching Koopas that come in your path. There are levels where you ride moving platforms, being forced to dodge oncoming saws or face your ultimate doom. One last example is a level where you are carried by a flotilla of dolphins, needing to ride them to avoid the spiked puffer fish prowling in the ocean below. The level variety is immense and each one has a reason for being there. you'll meet a painful spiky fate! Like each level serves its own purpose, so does each and every obstacle, item box, and enemy placement. Nothing here is filler or extra. That is just an astounding concept to me and amazing design through and through. The cast of enemies borrows from past Mario games, but Super Mario World also introduces new foes into the mix. Sumo Bros., Amazing Flying Hammer Bros., Superkoopas, Reznar, Mini Thwomps, and so many more interesting foes away Mario and Luigi on their adventure in Dinosaur Land. power-up and it returns in SMW. 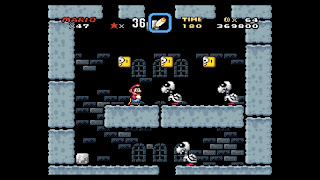 Perhaps the reason for the limited amount of item power-ups is the inclusion of a creature that could be considered Super Mario World's most important power-up. 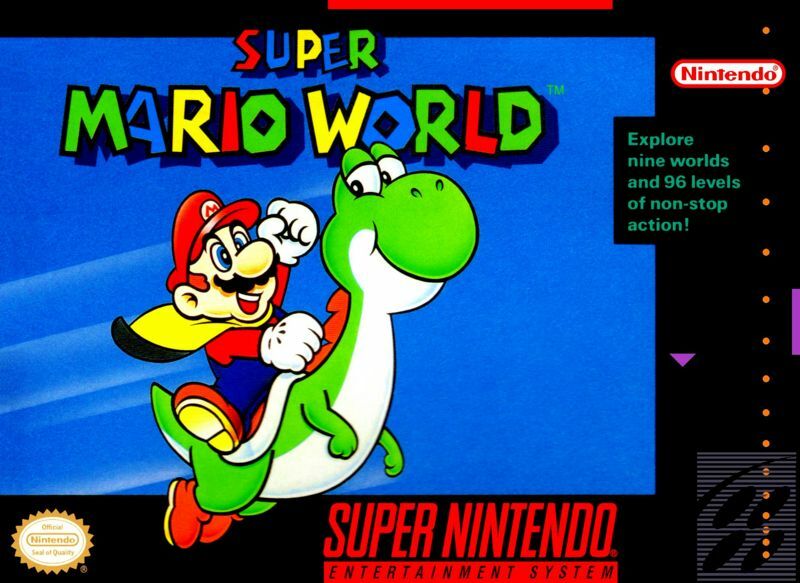 One of the most notable new additions to the Super Mario Bros. series that Super Mario World brought was Mario's dinosaur companion Yoshi. With the helpful dino, Mario can use Yoshi to eat up most enemies, though things like Bullet Bills and Sumo Bros. cannot be gobbled up. Depending on what kind of Koopa shell a given Yoshi has in its mouth, it can perform a host of new abilities. 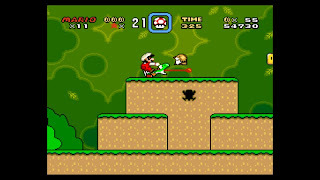 For instance, a red shell allows Yoshi to spit out three fireballs that shoot off in unique angles. Meanwhile, a yellow shell grants Yoshi the power to unleash shockwaves on the ground to nearby enemies. Finally, the blue shell is without a doubt the most helpful. It grants Yoshi the power of flight. Besides the normal green Yoshi, hidden levels house differently colored Yoshis. If Mario is riding a blue Yoshi, for example, any shell that is housed in the dinosaur's mouth will grant the temporary power of flight. Yoshis are a plumber's best friend. There are limitations to Yoshi's helpfulness. For one, Yoshi cannot accompany Mario or Luigi into castles or ghost houses. When Mario is hit while riding Yoshi, Yoshi will begin to run away without any caution to the wind, sometimes making it fall helplessly into a bottomless pit or even lava. Regardless, despite these drawbacks, Yoshi is still an awesome addition to the Super Mario series. 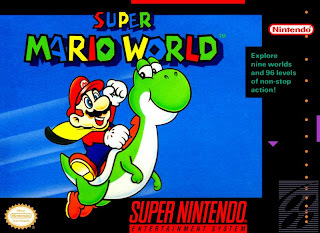 Ever since Super Mario World, Nintendo hasn't made Yoshi quite as useful in a traditional Mario game as his debut in World. As for the controls, this is the Super Mario Bros. series at its purest and finest. The controls are particularly tight, they feel superbly responsive and precise, and it's always YOUR fault if you die, not the game's. These qualities are of the utmost importance in a 2D platformer. 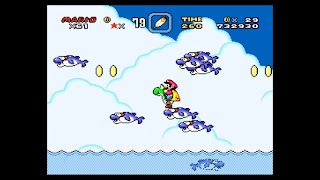 Super Mario World is one of the best examples of flawless controls in the genre, and to this day developers struggle to match what a game in 1991 mastered. but these sticks cause some pretty nasty splinters! Super Mario World is still a good looking game, showing that simple art design, well done animation, and a colorful 2D art style can make for a game that can stand the test of time. Perhaps the only issue in the presentation department is the slowdown that occurs when there are a lot of enemies on screen at the same time. Still, this won't disturb too many players. It certainly didn't bother me. Perhaps I thought I was playing a Mario version of The Matrix or something. In the sound department, Super Mario World contains enduring music that is still as catchy and memorable as it was in 1991. 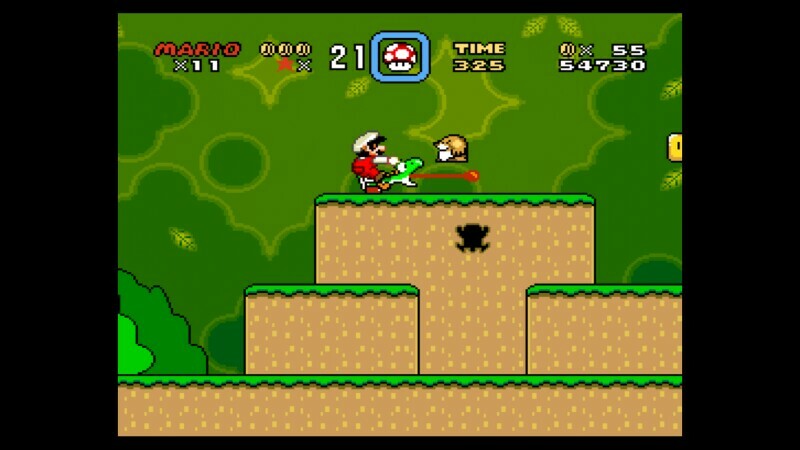 Overall, Super Mario World doesn't feel dated at all. In fact, it seems like it could have been made today. Jeez. Put on some clothes, will you? Super Mario World is the pinnacle of not just 2D Mario, but 2D platformers in general-- heck, even gaming in general. Mario and Luigi are a delight to handle, the game is definitely one that poses a fun challenge without getting too frustrating, and the level design is some of the series's best. Now that the game has arrived on the Wii U's Virtual Console service, players can once again enjoy this masterful title in the comfort of their chairs as they either play it on the TV screen or the Wii U GamePad exclusively. Super Mario World is a shining example of sensational game design, and if you've not had the pleasure of playing this game ever or even in a while, you're definitely missing out.